Michael Borrus is the founding general partner of XSeed Capital. An entrepreneur and former academic, he has authored three books and over 70 chapters, articles and monographs on topics including the internet and data networking, management of technology, competition in information technology industries, international trade and investment, and financial strategies for technology companies. The common thread in his varied careers has been a focus on emerging new technologies, and the business models and strategies necessary to exploit new market opportunities. 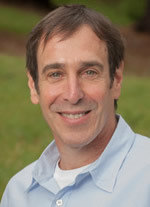 Before founding XSeed in 2006, Borrus was an entrepreneur-in-residence at Mohr Davidow Ventures. He also spent five years leading the technology practice at the Petkevich Group, a financial services and investment start-up. Prior to that, Borrus was adjunct professor in UC Berkeley’s College of Engineering and a partner in the business consulting firm Industry and Trade Strategies. While at UC Berkeley, he co-founded the Berkeley Roundtable on the International Economy.